WPBook 2.1 is out! 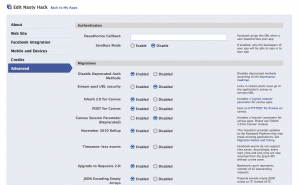 This release is the first to use Facebook’s OAuth-based authentication protocol, Graph API, and new PHP SDK. This is good news as it means we are now using current methods to interact with Facebook. This also means that if you had WPBook prior to 2.1 you’ll need to make some changes to your settings before your app will work. Below you will find instructions on how to make thouse changes. Visit your application, at the bottom of the screen you’ll see your app name on the left side of the footer (next to rhe report/block link) Click on your app name. You’ll now be taking to your app page. 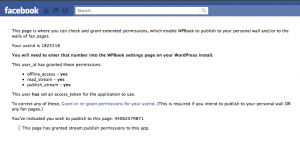 On this page you will see something like “facebook.com/apps/application.php?id=#####” in the header copy the ID from the url into WPBook App ID settings. 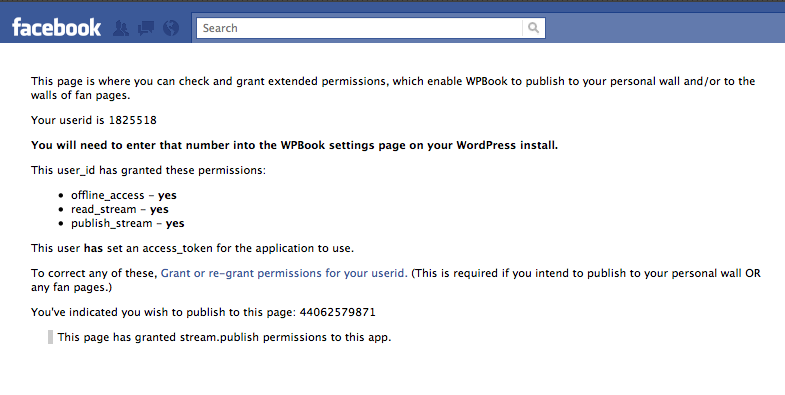 In WPBook Settings, go into the Stream/Wall section, make sure your Profile ID and Page ID are set correctly. Click on the Check Permissions link. 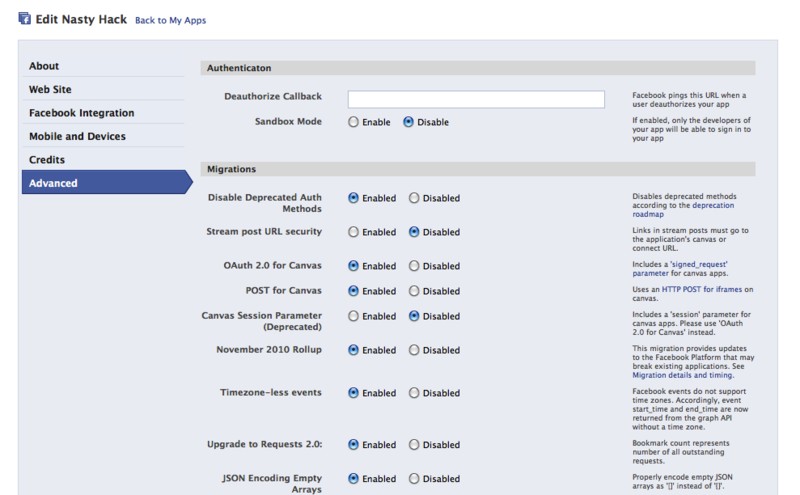 In order for your App to functions you must update the App settings inside Facebook. Click on the Advanced tab and enable OAuth 2.0 and Post for iFrames Canvas urls (see image below). Note: Post for iframes is no longer an option after 3/12/11, it is enabled by default.